The story of Xcor and its ticket holders — 282 of them, as of the most recent count — is a cautionary tale for the space tourism age. In purchasing tickets for a brief bout of weightlessness at the fringes of space, would-be astronauts are placing the ultimate speculative bet. None of the space vehicles developed by the two major players, Virgin Galactic and Blue Origin, are fully operational yet. But some tourism firms have collected money upfront; Virgin Galactic’s price is as much as $250,000. In the case of Xcor, the bet came up snake eyes. Its aspiring astronauts have been left grounded, wondering whether they’ll get a portion of their ticket price back. Steve Jones, 43, applied to be a creditor in Xcor’s bankruptcy case but has since learned he would not receive any funds. The ticket holder hired a lawyer, David Keesling, about a year and a half ago. Keesling said in an interview in November that there is “some slim” chance that funds could be recovered, but the number of entities involved in the case complicates the process. 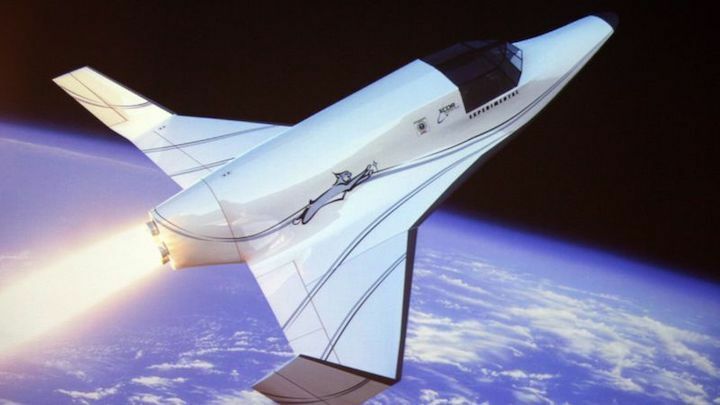 When Xcor unveiled its plans for the two-seat Lynx space plane in 2008 at a press conference in Beverly Hills, company officials estimated flight tests would begin in 2010. They said the vehicle could eventually fly tourists to space up to four times a day. Flights would reach an altitude of about 38 miles above the Earth — below the height that the U.S. military and Federal Aviation Administration consider to be the edge of space, but high enough that passengers would feel 90 seconds of weightlessness. The Mojave-based company was founded by Jeff Greason, Aleta Jackson, Doug Jones and Dan DeLong, who had worked together at a now-defunct reusable rocket company. That company had planned to send a 63-foot-tall, thumb-shaped vehicle to space that would return to Earth via a giant propeller. Xcor eventually raised at least $19.2 million, according to Crunchbase, a platform that tracks fundraising. Customers who wanted to be among the first 100 people to ride the Lynx paid $100,000 upfront, while others who chose to wait could pay in installments. By 2011, NASA lent the firm a measure of credibility when it announced its intent to hire Xcor to carry experiments into space. At the time, the company was seen as the main competitor to British billionaire Richard Branson’s Virgin Galactic, which had also set up shop at the Mojave Air and Space Port. The companies took very different approaches to the challenge of reaching space. Virgin Galactic uses a twin-fuselage carrier aircraft to hoist a space plane known as SpaceShipTwo up to a high altitude; it releases the smaller craft, which ignites its own rocket motor to blast into space. Earlier this month, the company reached space with its SpaceShipTwo vehicle for the first time on a test flight. Using another vehicle or booster to propel a crew craft to space is considered a “much more traditional approach,” said Sonya McMullen, assistant professor of aeronautics at Embry-Riddle Aeronautical University. But Xcor would have the Lynx climb all the way up under its own power. “They really took the hard technological approach to the same problem,” McMullen said. As development proceeded on the Lynx, the company wooed potential customers. A major draw for Cyril Bennis, 70, was the private flight, with just him and a pilot. Virgin Galactic’s space plane can seat eight people, including the two pilots. Bennis has wanted to go to space since meeting NASA astronaut John Glenn as a child in Ireland. He did some training on his own, including experiencing G-forces at the commercial National Aerospace Training and Research Center outside Philadelphia to make sure he could handle the trip. Then in 2008, he paid the $100,000 ticket price. But behind the scenes, Xcor was finding it had underestimated the complexity of the Lynx’s development and the funding needed to pull it off. Greason, Xcor’s CEO, was replaced in 2015 by Jay Gibson, a former Beechcraft Corp. executive who had previously served as assistant secretary of the U.S. Air Force. A year later, the company shelved Lynx development and turned its focus to a contract to build an upper-stage rocket engine for United Launch Alliance, a joint venture of Boeing Co. and Lockheed Martin Corp. that launches national security satellites for the U.S. government. That was the company’s most promising near-term source of revenue. That same year, Xcor laid off about half of its 50- to 60-person workforce, including Amon. “For now, we are unable to share a reasonable time frame for your anticipated space flight,” wrote Gibson and Tom Burbage, president of the board of directors. This rankled Hamameh, the French internet entrepreneur. He purchased his Xcor ticket using a significant amount of funds reaped from the sale of his social media marketing agency. Even before the January letter, he was pushing the company for a refund. “I said, ‘Guys, it has been one year late; you are making no progress,’” Hamameh said. Xcor was counting on funds from the ULA contract, but that ran out abruptly. Without mentioning ULA by name, Gibson told a Senate committee hearing last year that Xcor had thought it had a funding commitment from the prime contractor on a propulsion project through the year and beyond. But Xcor was told the contract was terminated with less than 30 days’ notice, Gibson said during his confirmation hearing to be deputy chief management officer of the Defense Department. Gibson left Xcor in June 2017, less than two weeks after his nomination was announced. Xcor board member Michael Blum was named acting chief executive. Gibson was later promoted to chief management officer at the Pentagon but resigned in November. The Wall Street Journal reported prior to Gibson’s resignation that he was forced out for a “lack of performance.” An attempt to reach him through LinkedIn was unsuccessful. News of the bankruptcy devastated Sabine Daniels van der Sluis, 39, an Amsterdam resident who won an Xcor ticket through a contest sponsored by a shopping rewards program. To prepare for her trip, she had been strapped into a motion-training simulator in the Netherlands for about three minutes to experience the type of G-forces she would encounter in space. A subsequent medical check proclaimed her good to go. She thought she would fly by 2014. After the bankruptcy filing, some Xcor customers asked what had happened to the $35,000 that was part of their deposits but supposed to be kept separate in an escrow account and refunded in the event of an incident like the bankruptcy. A number were unsuccessful in connecting with or getting answers from Intertrust Group, the organization they said oversaw those escrow accounts. A spokesman for Intertrust Group, a corporate management group based in the Netherlands, said in an email that “when there is an escrow agreement in place, Intertrust will execute according to what’s been defined in that escrow agreement.” The spokesman said he could not provide any further detail. Ticket holder Milan Karki, 41, did receive $34,500 from the escrow account. He reached out to Intertrust in May and received the funds in September, after Intertrust said there was an escrow account with his name. He purchased his ticket in 2013. “I had lost hope,” said the New York resident and management consultant. He’s using the funds to buy property for his parents in their homeland of Nepal. Bennis plans to go to Amsterdam to meet Intertrust officials face-to-face and get answers on behalf of the group. “It was felt the plug was pulled, and we were left to our own devices,” he said. Bennis and Jones have not given up hope of achieving spaceflight. Each talks about trying to get a spot on a future Blue Origin suborbital flight.